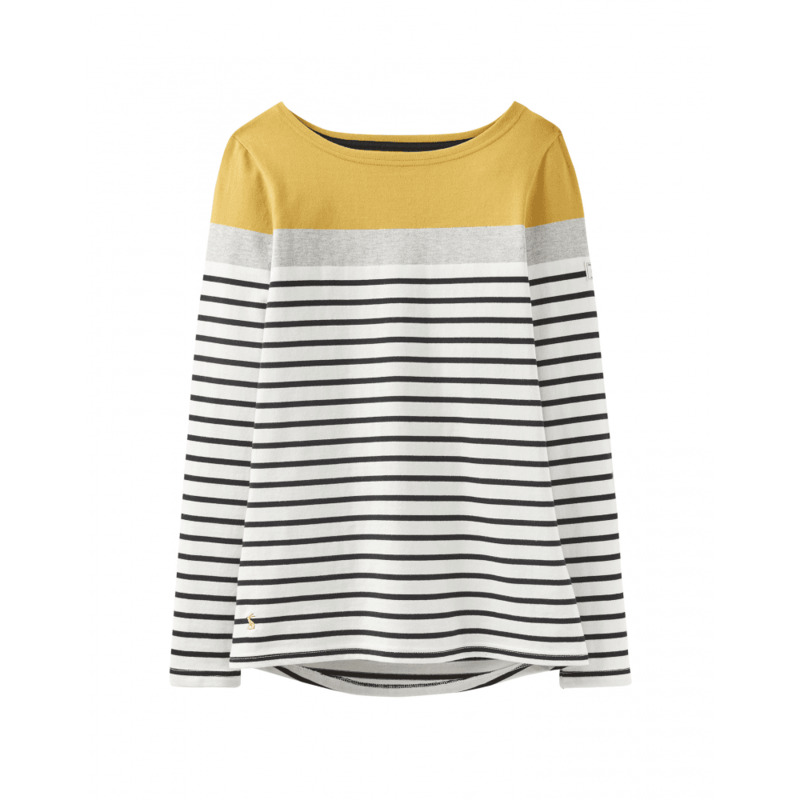 Joules Harbour Block Womens Long Sleeve Jersey - Cream Ochre Block Stripe. Designed with a relaxed fit and a boat neck and fitted with a long length sleeves. 100% Cotton and machine washable.